For a down-to-earth Bride-to-Be, look no further than this humorous design. The silhouettes are of a Bride dragging the Groom by his shoulders, clearly demonstrating that she's the boss! 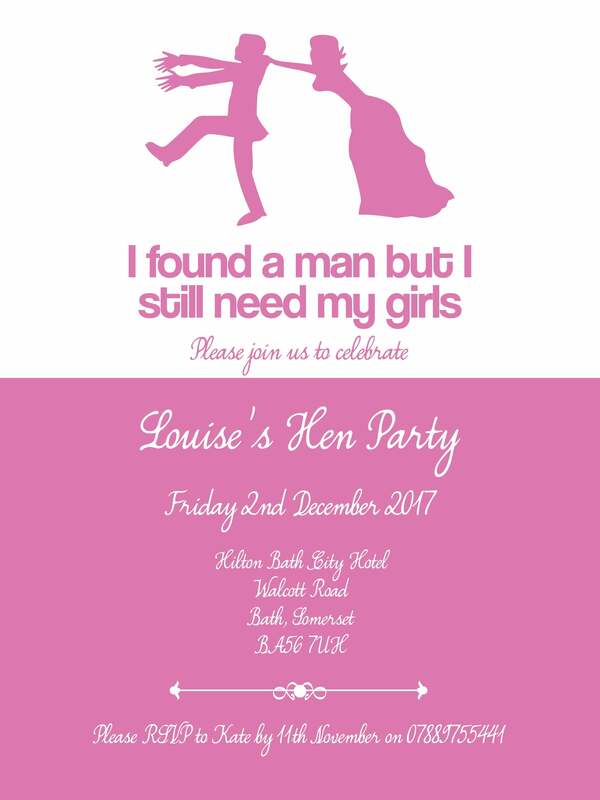 The caption reads 'I found a man, but I still need my girls', and can be personalised with your unique hen party name, location, and date details. We will send your personalised invitation via e-mail, ready for you to print.